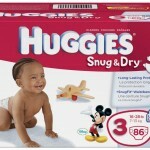 Huggies Snug & Dry Diapers as low as $.12 per diaper shipped! 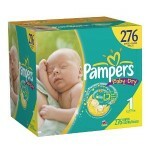 You are here: Home / baby deals / Huggies Snug & Dry Diapers as low as $.12 per diaper shipped! 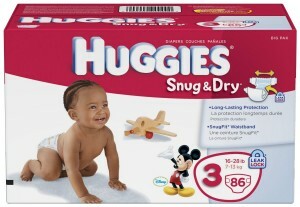 If you’re looking for deals on diapers, right now you can get Huggies Snug & Dry diapers for as low as $.13 per diaper shipped! 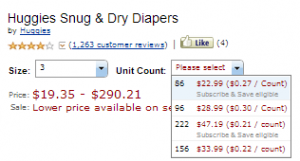 NOTE: You will need to select your size from the drop-down and also select the unit count. Make sure you choose a unit count that has subscribe & save options! 3. Scroll down and “clip” the $2 off coupon. You must be logged in to your Amazon account to access this coupon and it is one time use per account. 4. 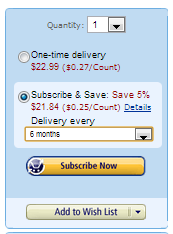 Choose a Subscribe & Save delivery schedule from the blue box on the right. You can cancel Subscribe & Save at any time after you receive your order. You will also receive a reminder e-mail before your next order is shipped and you can cancel at that time. 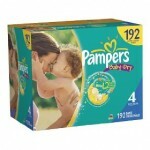 Pampers diapers: as low as $.10/diaper shipped!